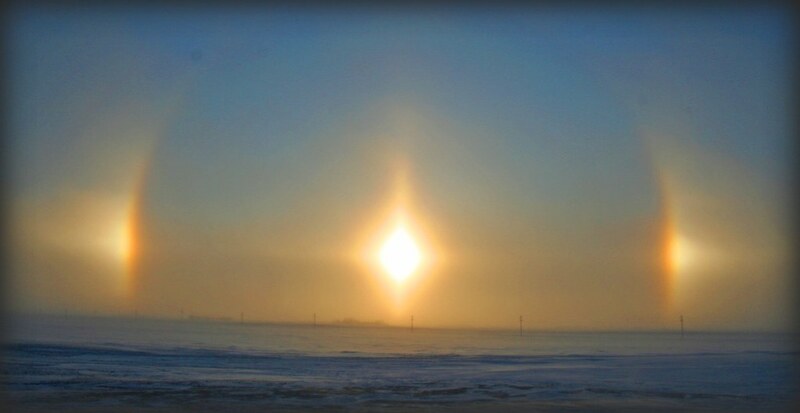 As the cold weather settled in this past weekend and the ferocious winds whipped up our fresh, powdery snowfall across Minnesota, images like these sundogs were seen around the Northstar state. I noticed an image like this from the window of my back door late yesterday afternoon in the south metro. I saw these Tuesday morning while driving 5 mph on the ice covered freeway! Spectacular!